The latest effort by Aastik Koshy entitled the “SARASWATI LOUNGE VOL.1”, finds the chill out, ambient and lounge producer, elevating his signature sound with more contemplative and thought-provoking songwriting. 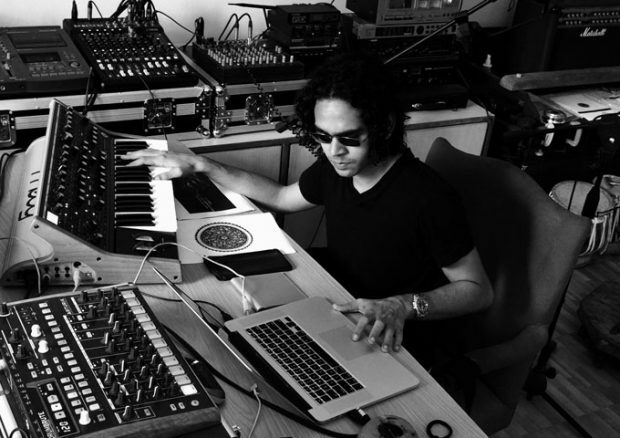 Due to the organic sounding nature of this record, it will be hard for many to call this an electronic album, which once again leaves everyone wondering where Koshy fits into the musical spectrum. Definitely not in any one single genre or style. 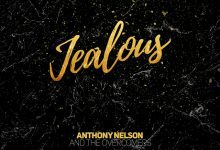 The album strides confidently into jazz, soul, world beat, and other styles with a direct, reverential approach, where you will hear synthesizers, guitars, flute and sax blend into one homogeneous soothing flow of sound. Aastik Koshy has always been eclectic, relaxing and powerful — and this record does not shy away from any of those elements. The only word that I think really captures the essence of the 6 tracks on this album is “Beautiful”. Very rarely does one come across a recording with tracks so listenable, so delectable, so pleasing, that it simply occupies, and becomes a part of the space that is your car player, your home stereo, your portable media player, your computer, tablet or smartphone. 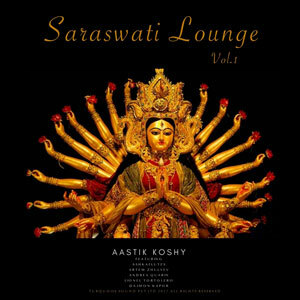 From beginning to end, listeners will be amazed by the richness of the instrumentals on this “SARASWATI LOUNGE VOL.1”. As it is inscribed in the Aastik Koshy creative and work ethic, each song is finely crafted, well performed and well produced. Starting from the eloquent, saxophone dominated, “Saraswati” (feat. Artem Zhulyev), the instrumentals will bring you into a whole other stratosphere. Listen to it while you commute, listen to it after dinner, listen to it with a good book, it somehow seems perfect for any situation and will never fail to stir something inside of you. The funky bass driven rhythms on “Orchids for Miss Blandish” (feat. Lionel Tortolero & Ashkaflutes), and the eclectic, ambient, mood inducing tones on “Midnight Drive (Sexual Lounge Edit)” [feat. Artem Zhulyev & Dajmon Kapor], will surely get the music lover going with this album. If you want to feel what music can reach when it is simple, tasty but above all real and full of candidness, try fine pieces like the up-tempo “Blue Ice” (feat. Ashkaflutes) and “Ganapati Groove” (feat. Ashkaflutes), both of which find their apices in the deliberate sass and swing of the rhythms, as well as the reverberating trill of the flutes. The beats, the bass, the lush arrangements, the acoustic guitars; everything here is blissfully effortless. Simply put, “SARASWATI LOUNGE VOL.1” is a gorgeous album that should be in anyone’s music collection, regardless of taste; your ultimate chill out fantasy! MORE ABOUT: Aastik Koshy graduated with a degree in Sound Engineering from SAE and opened the doors of his music company Turquoise Sound Pvt.Ltd (TSC) in 2015 after moving to Goa, India. 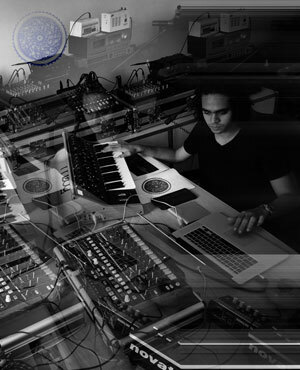 The company was created to release electronic music produced and composed by Aastik in chill out, ambient and lounge, with touches of ethnic influences and jazz. In 2017 he also launched Blue Magic Records (BMR), a sub-label to TSC, focusing on more free-form and unconventional as well as jazz/fusion and eccentric styles of music. Aastik, who set up his first home recording studio when he was 16, was born to a renowned classical dancer mother and photographer flautist father. But his artistic heritage runs far deeper, into glorious lineage of musicians who excelled in the Sitar, tutored under the able guidance of the legendary Ustad Imdad Khan from the late 1800’s. Erwin Bauwens : “Nathalie Collova Latinas World” – an old-school minimal soundscape!